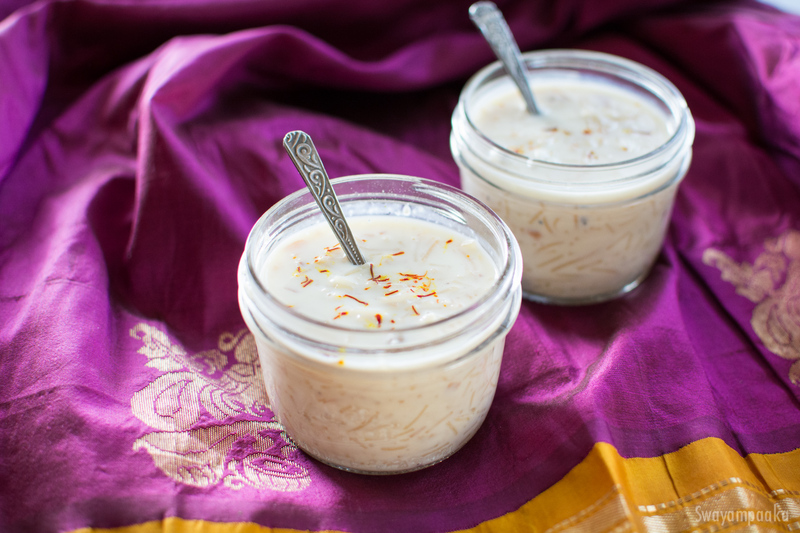 Our kids love the cold refrigerated Sevai payasam. Adding nutmeg or pistachios gives its own sweet and nutty aroma to the kheer. Fry/roast the sevai, cashews and raisins separately with a little ghee. Boil the milk on a low flame. Once it starts boiling, add roasted sevai/shavige. Let it boil on medium low heat for 15 minutes. Stir it in between to prevent the payasam from sticking to the bottom of the pan. Turn off the heat and add cardamom powder, fried cashews, and raisins. Mix well. Its very yummy and very nicely shown by you. I have become ur big fan and I am trying all ur recipes. Thank you so much Rathna. For ragi huritttu, we don’t getragi here. If I find it here i will prepare it. Kajjaya is in my list. Thanks.